Australian carrier, Qantas, has posted its first annual loss since privatisation in 1995 and cancelled orders for 35 Boeing jets as high fuel costs and industrial action hammered its bottom line. The airline announced a net loss of $256m (244 million Australian dollar), a half-billion-dollar reverse from a net profit of AU$250m in the previous 12 months. Andrew Thomas reports from Sydney. The coalition is "most unlikely" to meet its two key economic goals before the general election, a conservative thinktank says. In a report published on Monday, the Centre for Policy Studies (CPS) said the coalition had already given up hope of getting rid of the structural deficit by 2015 and that the chance of ensuring that public-sector debt is falling by the time of the next election is now slim. 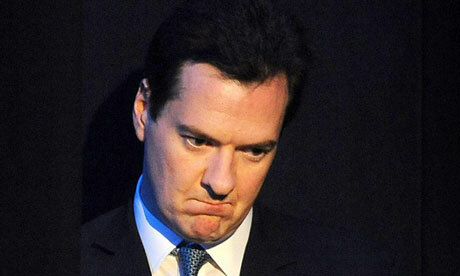 The CPS, whose claims are rejected by the Treasury, also said the government's problems were exacerbated by the fact that many people do not understand the difference between debt and deficit and that they will be shocked to learn that debt (the historic total owed by the nation) will be around £600bn higher in 2015 than it was in 2010 even though the deficit (annual borrowing) will be lower. Germany and France have ratcheted up the pressure on the Greek government by insisting that Athens stick to its hardline austerity plans in order to remain a member of the eurozone. 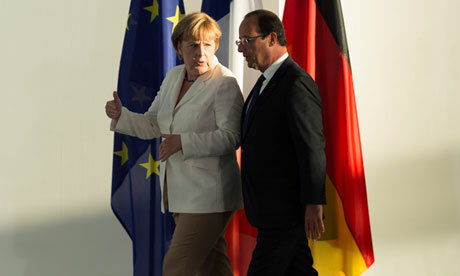 Before meetings with the German chancellor, Angela Merkel, in Berlin on Friday and the French president, François Hollande, in Paris on Saturday, the Greek prime minister, Antonis Samaras, was given little hope that the two biggest EU economies were prepared to soften their approach. Hollande, speaking at a meeting with Merkel in Berlin on Thursday night, said he wanted Greece to remain in the single currency but that the recession-stricken country had to carry out the reforms it had promised. Wolfgang Schäuble, Germany's finance minister, flatly rejected Samaras's plea that Greece be given two extra years to put its finances back on track. A decision on whether Athens should be allowed more time will be taken next month by the "troika" – the European Central Bank, the EU and the International Monetary Fund – but Schäuble said it was only six months ago that a second package of help had been provided. THE DAILY TELEGRAPH: Apple was worth more this afternoon than any company had ever been, as its share price inflated on rumours of new products and took its total value to a record high. Apple's share price hit $664.74 at its peak today, giving it a market capitalisation - the total value of all its tradeable shares - of $622.5bn. The previous record for market capitalisation was set by technology giant Microsoft in December 1999, just before the dot-com bubble burst, when it reached $616.3bn. THE SYDNEY MORNING HERALD: Facebook's beleaguered stock has lost more than half of its value since its initial public offering three months ago. Facebook Inc hit a new low of $US18.75 before bouncing back to $US19.01 - down 4 cents - in morning trading on Monday. The social networking icon's much-anticipated IPO turned sour amid technical problems on the Nasdaq stock market and high expectations. 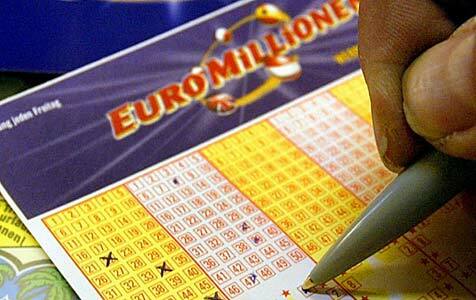 BBC: One UK ticket-holder has won Friday's £148m Euromillions jackpot, lottery organiser Camelot has confirmed. The winning numbers were 11, 17, 21, 48 and 50. The lucky stars were 9 and 10. The ticket is the second biggest National Lottery win, behind Colin and Chris Weir from Largs, Ayrshire, who scooped £161m in July 2011. A National Lottery spokeswoman said: "Lady Luck is clearly shining down on the UK once again with another big Euromillions win this year." It is the seventh Euromillions jackpot to be won in the UK so far in 2012. CNBC: Prime Central London property had looked almost immune to economic problems in the rest of the U.K and the euro zone in the past couple of years. 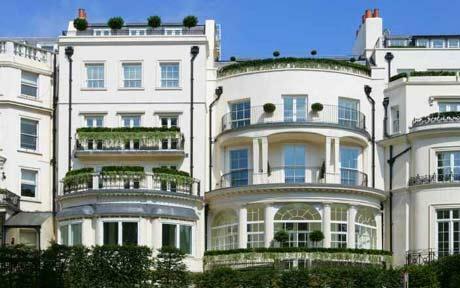 In July, prices for properties over 2 million pounds ($3 million) in areas like Chelsea and Mayfair grew by 0.5 percent — the lowest rate of growth in almost two years — according to estate agents Knight Frank. This came despite plenty of interest from buyers elsewhere in the euro zone looking for safe havens. Interest from prospective buyers rose by 23 percent in the three months to July compared to the previous quarter, according to Knight Frank. AFP: PARIS — Well-heeled regulars at the Paris Ritz bid au revoir to a dear "Old Lady" on Wednesday as the historic luxury hotel shut for a two-year facelift aimed at matching tough new competition from Asia. "It's so sad. We've been coming for 20 years," said a bleary-eyed tourist from Hong Kong who gave only her first name, Ray-Heather. Dressed in an Asian-inspired suit of yellow silk, the elegant blonde in her sixties lingered on in the lobby, embracing the hotel staff, before heading out on to the Place Vendome, beating heart of the Paris luxury quarter. "The plumbing, electricity -- there's things like that that had to be done," she told AFP. "But as far as the rest of it is concerned, that's the Ritz. It's historical and it's home." 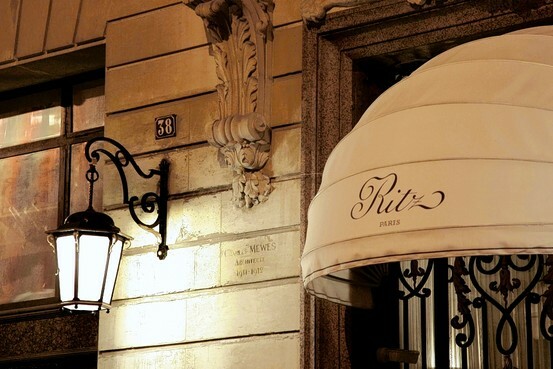 The hotel of choice of Charlie Chaplin, Coco Chanel and Ernest Hemingway, the Ritz is also infamous as the place where Princess Diana and Dodi Al Fayed dined before their fatal car crash in 1997.